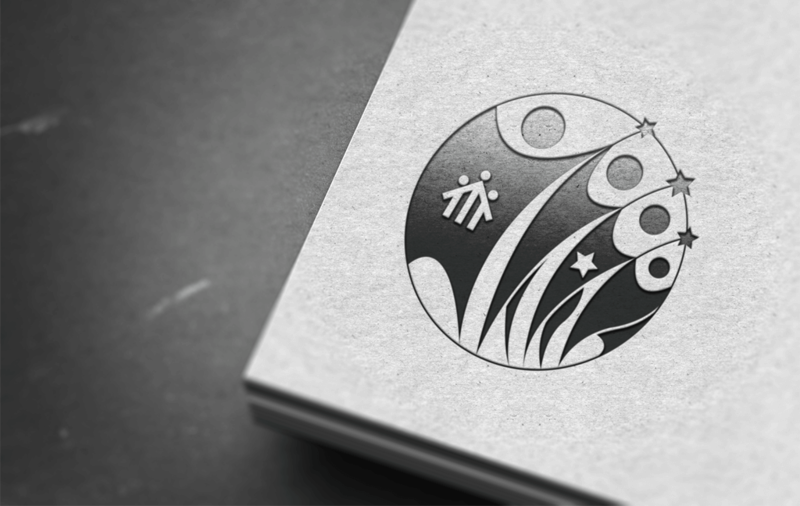 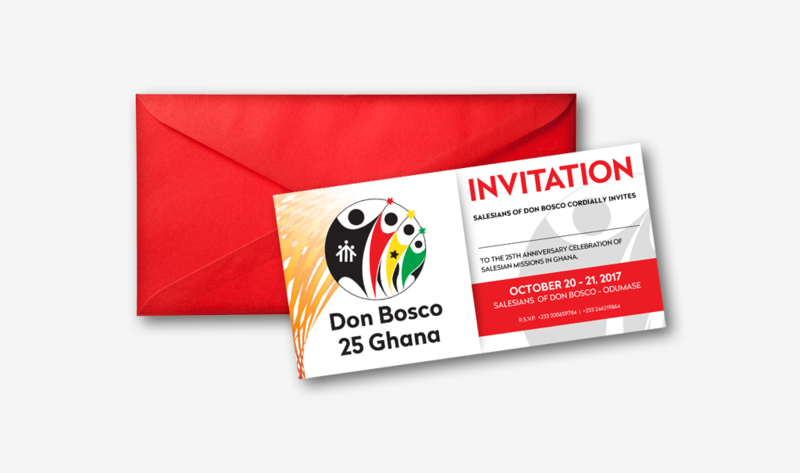 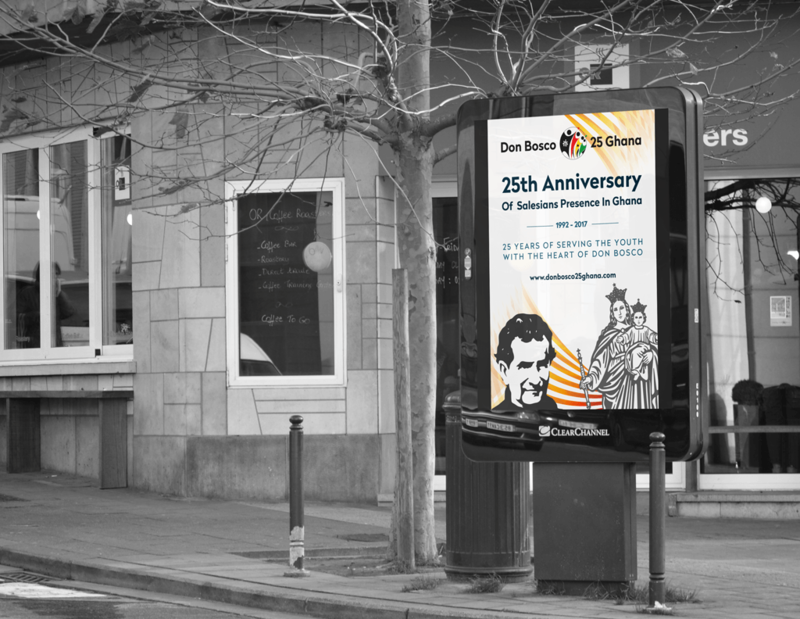 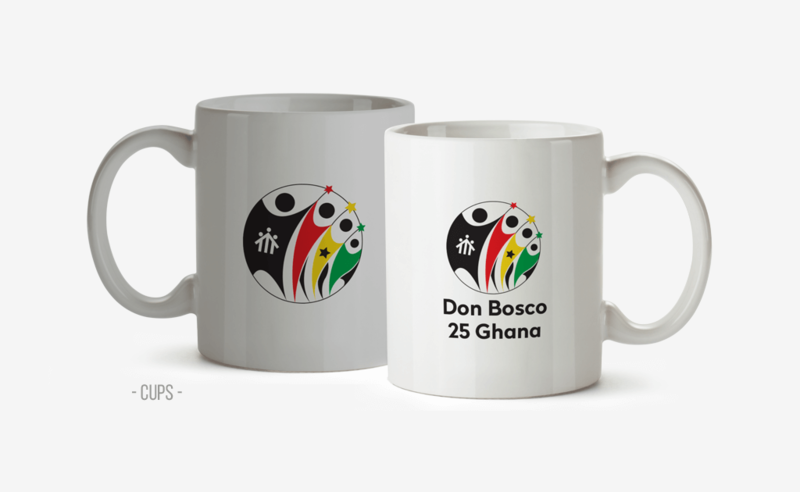 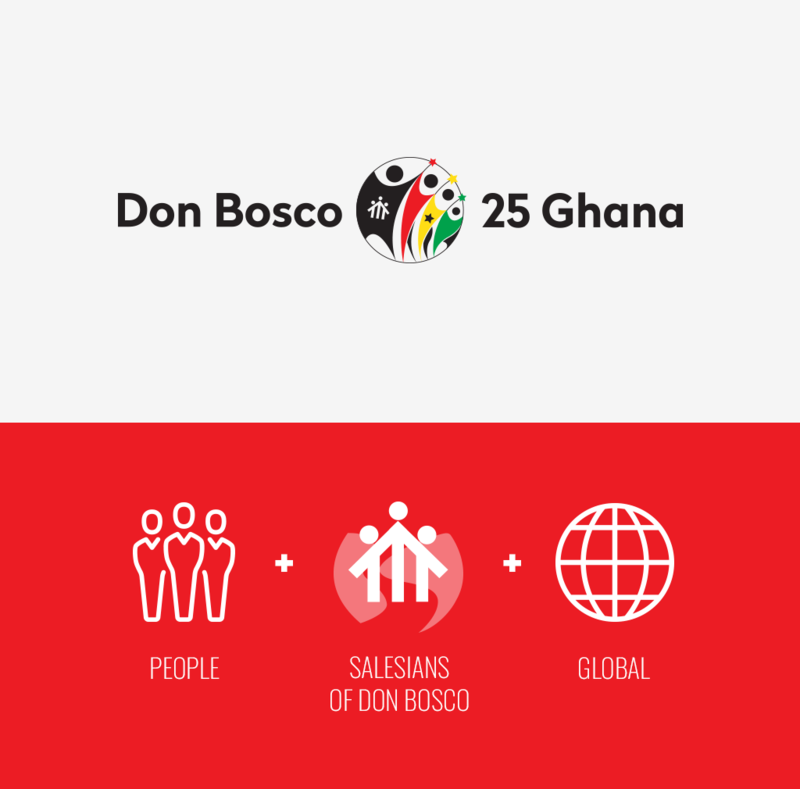 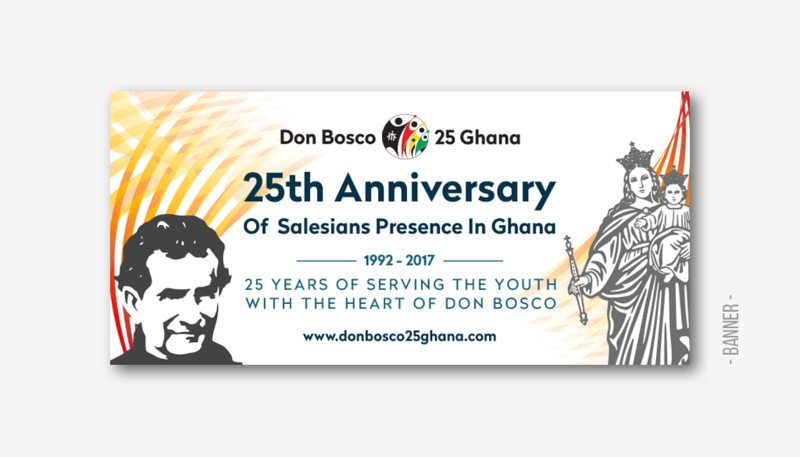 Salesians of Don Bosco were celebrating the 25th anniversary of presence in Ghana and they requested our services to develop the visual branding of the celebration and some video pieces to send the donors and other salesians congregations and NGOs in Europe and USA. 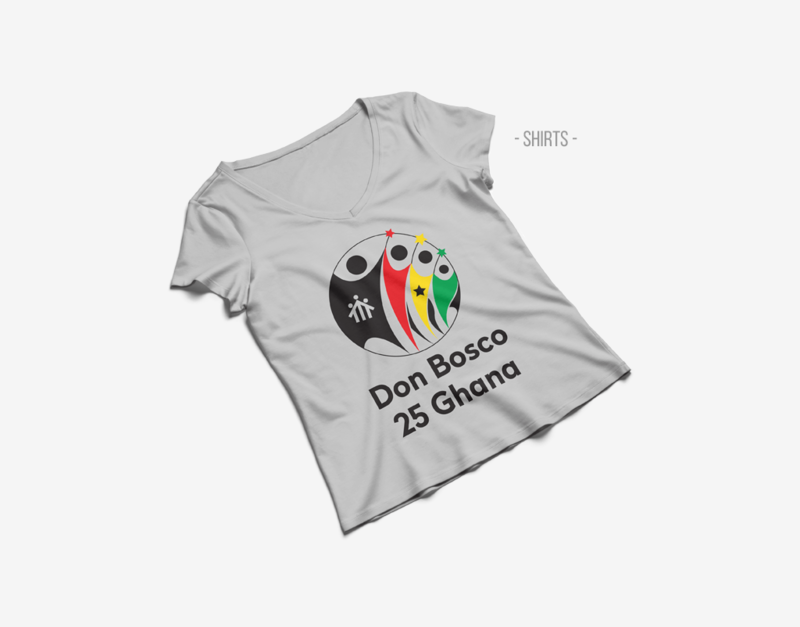 In this work we wanted to reflect the spirit of the Salesian life, which combines education, family and youth, but in a more modern and linear way, fleeing the typical religious symbology. 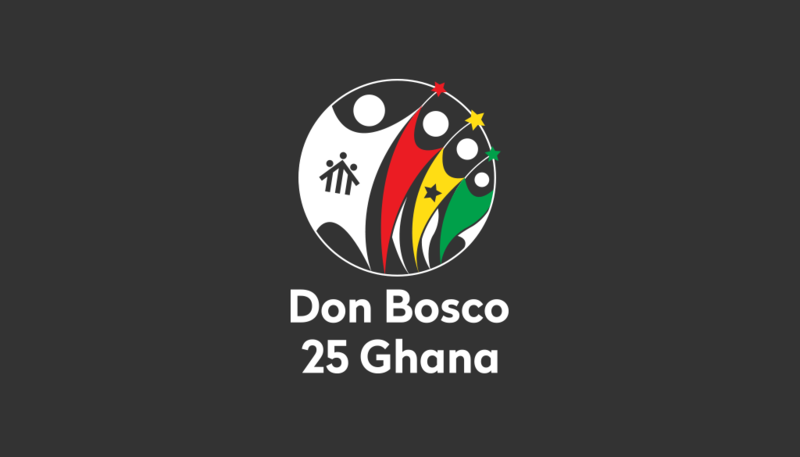 The intention was to create an image which reflected union and happiness, as well as Ghana, hence the combination of colors; red, green, yellow and black, like the flag of the country. 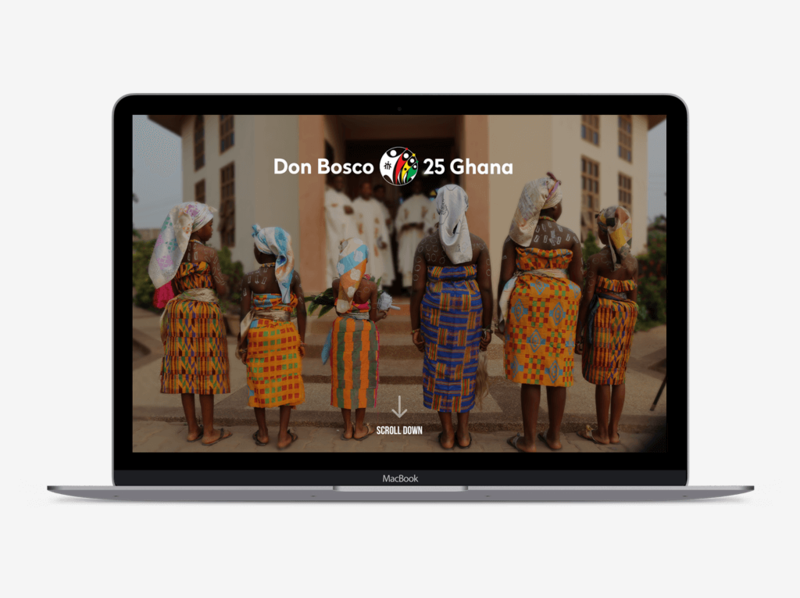 This assignment gave us the opportunity to travel through the different Salesian communities in Ghana and get to know better their mission and values.This was a great help to conceptualize and create promotional videos.